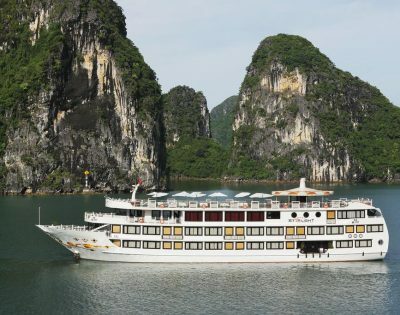 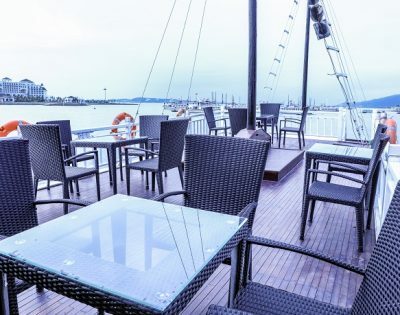 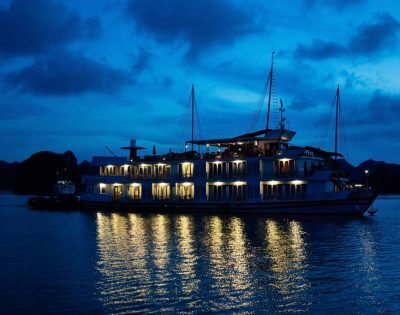 Description: Starlight Cruise is truly a remarkable Halong luxury cruise ship as she has many superior and luxury features that a cruise on Halong Bay is able to offer. 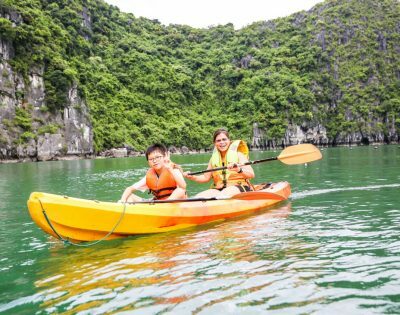 Description: Cruise toward Tra San, Vung Ha Island where tourists can go kayaking, and catching beautiful sights and enjoy the wild, bewitching nature with many limestone islands, lovely small beaches. 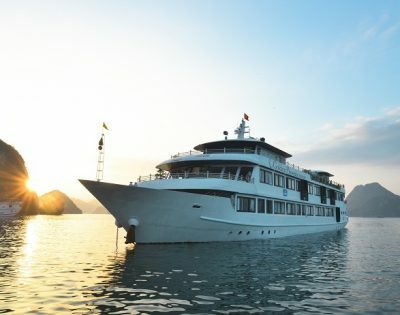 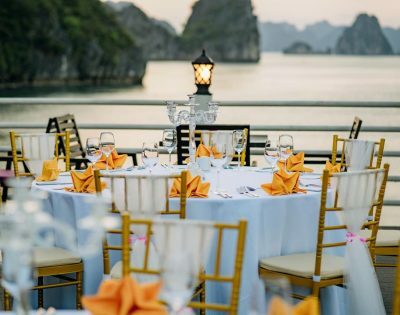 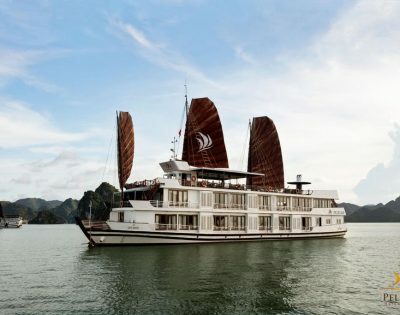 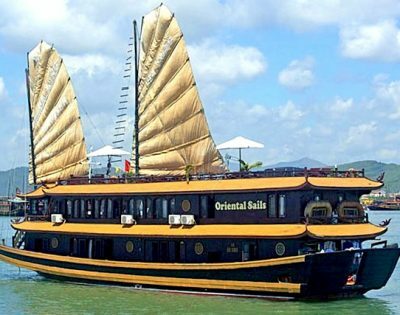 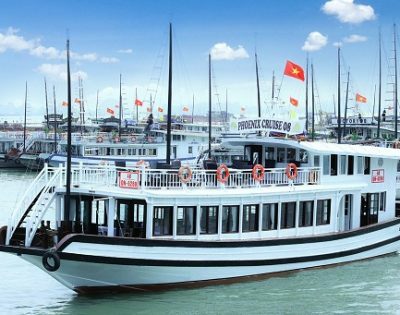 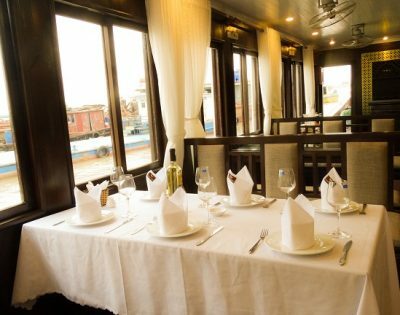 Description: Savor a delectable lunch as Oriental Sails cruises further along the limestone islands of Bai Tu Long Bay, heading to Vung Vieng fishing village – one of the largest fishing villages in Halong Bay to see the life of local fishermen. 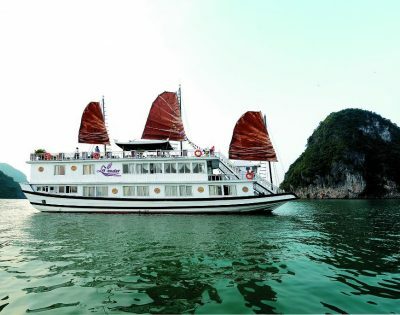 Description: Relax or Visit Me Cung Cave – one of the most beautiful landscape of Halong Bay. 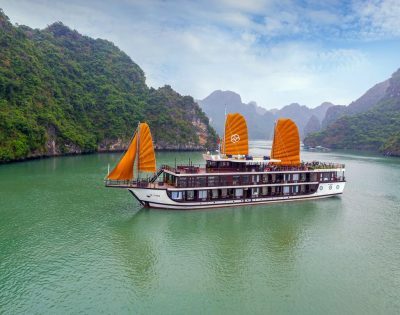 You can also hiking a little though the mountain and have a wonderful view point. 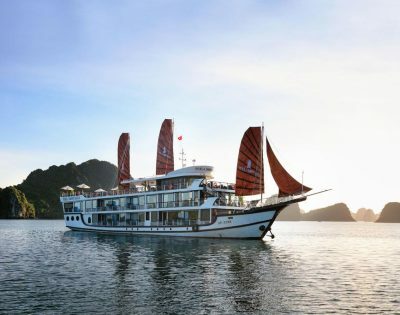 Description: Weaving amongst the feet of giant limestone cliffs and crossing the centre of the World Heritage site, this trip features the unique cruising route and the great combination of a comfortable boat cruise and fun kayaking. 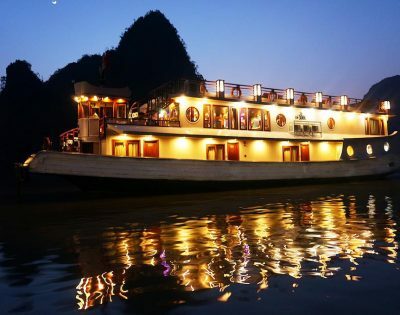 Description: Our day trip leads you to the famous Halong Bay and through the most attractive areas of the Tonkin Golf. 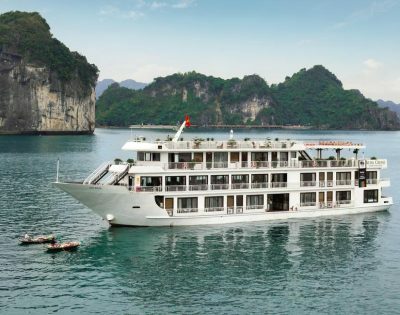 Our well-designed cruising route offers you an excellent opportunity to see the most beautiful high points, in and around the water of the World Heritage site, in a very relaxed way.